Pedestrian fatalities remain a major concern for road safety and health authorities, especially in middle and lower-income countries. 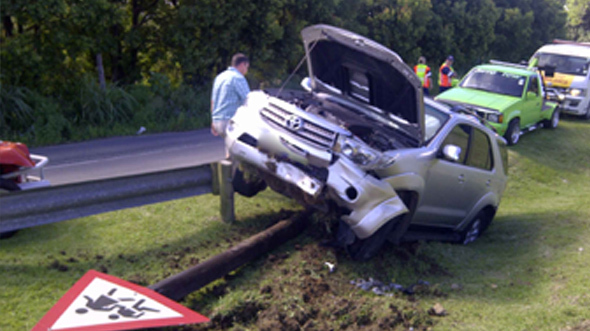 The Arrive Alive Website receives information daily about fatal crashes across South Africa. Road crash fatality data reveals that approximately 35-40% of road deaths in SA are pedestrian deaths. On the Arrive Alive website, we find several references to pedestrian safety. We would like to consider these in more detail to better understand the reasons for the many pedestrian fatalities and consider measures necessary to make our roads safer. 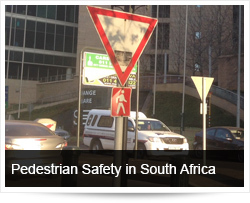 What are the major contributing factors to pedestrian fatalities in South Africa? Drunk pedestrians - Pedestrians who are intoxicated and impaired with alcohol or/ and drugs. Distracted pedestrians - Pedestrians failing to pay attention to traffic whilst distracted by cellular phones, music, etc. Pedestrians ignoring/disobeying traffic light signals - crossing the road against an orange or red light. The “Poorly visible” pedestrians: Those walking on the shoulder of the road not wearing high visibility or reflective clothing. Pedestrians walking on the road instead of on the verge or pavement, often on the left side of the road where they are close to and therefore cannot see approaching traffic. Pedestrian inattentiveness - Where we find pedestrians such as children chase after something, e.g. a ball or hat which might be on the surface of the road. Lack of supervision / Younger pedestrians left unattended - This includes our younger vulnerable child pedestrians not supervised & left on their own at the roadside. Crime forcing pedestrians onto the road surface - Those pedestrians robbed or attacked and trying to get away from the attackers, ending up as a victim of a road crash. Victims of reckless driving - those instances where drivers lose control and pedestrians, through no fault of their own, are crashes into on the pavement etc. How do we address and reduce these pedestrian fatalities? We would like to take a closer look at how we can address pedestrian safety through the “E’s” required for Road Safety. Sharing information on pedestrian safety at our schools. Focussing on principles such as “look right, left and right again”. Emphasizing the importance of crossing roads at designated areas such as traffic lights and other intersections, pedestrian bridges, painted zebra crossings etc. Offering safety advice at and around schools through the scholar patrol system. Giving safety advice for children using school transport on embarking and disembarking buses, minibuses etc. Effective examples through responsible parenting. Always obeying road signs and traffic lights (robots). Encouraging the wearing of lightly coloured and high visibility, reflective clothing. Warning about the dangers of distracted walking in traffic. Not walking on the road but on the pavement. If there is no pavement, walk as near to the edge as possible, facing the oncoming traffic. Avoiding roads at all times when intoxicated. When crossing the road and there is a pedestrian bridge, use it, even if it means walking further. Never cross the road without looking both ways, and check that there is no traffic before crossing the road. Never assume that you have been seen - many disturbances might attract the attention of the motorist, including a low sun in the early morning or late afternoon. Be wary. Most drivers are nice people but don't count on them paying attention. Watch out - make eye contact to be sure they see you! Do not walk and stop halfway across the road - remain beside the road until both lanes are clear for you to cross safely. You can encounter pedestrians anytime and anywhere - even in places where they are not supposed to be found, such as freeways. Be aware that many informal settlements are situated alongside main roads and that there are often no formal points of crossing or pedestrian bridges. Pedestrians can be very hard to see - especially in bad weather or at night - Remain alert and avoid distractions. Do not speed near these settlements and residential areas - be prepared to slow down. Do not assume that you have been seen or that pedestrians will act predictably. They may be physically or mentally impaired - or drunk! Be on the lookout for small children and elderly pedestrians. Avoid overtaking vehicles in the vicinity of these settlements and especially in hazardous driving conditions such as heavy rain or night driving. If visibility is bad, slow down - avoid driving when your vision is impaired either by strong rain or the blinding headlights of approaching vehicles, or a low sun shining in your eyes. Be on the lookout for pedestrians walking at the side of the road with their backs towards you, unaware of your approaching. Be aware of intoxicated pedestrians - especially over weekends and near informal settlements. Be careful near places where buses or taxis appear to stand next to the road - passengers might suddenly decide to cross the road! Stop for pedestrians who are on or approaching your side of the road at a pedestrian crossing, even if it is not marked. When you stop for a pedestrian in at a crossing, stop well back so that drivers in the other lanes can also see the pedestrian in time to stop. When you are turning, you often will have to wait for a "gap" in traffic. Beware that while you are watching for that "gap", pedestrians may have moved into your intended path. Careful consideration of pedestrian needs in road planning. Separating traffic / reducing shared road space between pedestrians and fast moving vehicles. Safer pavements offering protection from vehicles and bad road and weather conditions. Providing pedestrian holding areas at the roadside, at each intersection, where pedestrians can wait together before crossing the road. Effective lighting next to roads to increase pedestrian visibility and protect from criminal activities at roadsides. The building of pedestrian bridges across highways, freeways & near areas of increased pedestrian activity. Zebra strips/crossings [called block pedestrian crossings] with stop lines for vehicles in areas where many pedestrians need to cross. Traffic calming measures to reduce the speed of vehicles - such as rumble strips or speed bumps and roundabouts, etc. Including dedicated areas for scholar patrols in road design at our schools. Vehicle manufacturers also continue to make an important contribution on the side of engineering through the development of advanced systems in pedestrian detection. Vehicle features such as Brake Assist and Autonomous Emergency Braking are examples of pedestrian protective vehicle design. The New Car Assessment Programme (NCAP) has introduced pedestrian safety assessments based on pedestrian impact test procedures. The LAW is there - It needs to be adequately ENFORCED! Driver and pedestrian compliance with laws are critical to pedestrian safety. This compliance refers specifically to legal vehicle speed limits, drinking and driving regulations, red-light signal compliance and pedestrian traffic control signals. This is important with regards to both pedestrians and those operating vehicles. Freeways need to have pedestrian and cyclist prohibition signs so that these road users are aware that they are not allowed on a freeway. Those walking, running or cycling on or across freeways need to be arrested and fined. Drunk/ impaired pedestrians must be arrested and moved off the road. Enforcement against pedestrian jaywalking - illegal or reckless pedestrians crossing a roadway. Examples include a pedestrian crossing between intersections without yielding to drivers and starting to cross at a pedestrian crossing at a traffic light without waiting for the green light to be displayed. The law needs to be applied strictly in areas of pedestrian activity. Speed limits should be strictly enforced in areas of traffic calming. Strict enforcement of road/traffic signs such as zebra crossings, traffic lights. It is important for the police and traffic officials to address the risks such as drunk driving and intoxicated pedestrians through a focus on shutting down the illegal sale of liquor. There must be strict regulating and enforcing laws on the availability of alcohol. Liquor licensing needs to take vicinity to roads and the importance of road safety into account. Effective roadblocks and enforcement need to remove those impaired by drugs and alcohol from our roads. Pedestrian Safety remains one of the most important challenges to road safety authorities in South Africa. The history and segregated development within South Africa further necessitate that we do much more for the protection of our pedestrians. With a multi-disciplinary approach and implementation of global best practices, it is, however, possible to significantly reduce pedestrian fatalities and make our roads safer for all!